Best No-Show Socks | H.Prall & Co. I love when I have a question I need answered and all I have to do is turn to my tribe and they are on it! I shared on my Instagram stories the other day that I was desperate for a no-show sock that would stay put in my shoes! (Not sure what Instagram stories are? Follow me HERE and you’ll find out!) I got so many messages back with some fantastic suggestions! I also got plenty of messages asking for me to share the results…so I know you might be interested in this too! Now, I’m fairly new to the no-show sock game. I will be the first to admit that I don’t like lots of fussy accessories…and that includes having special socks, bras, what have you’s to complete an outfit. I am a firm believer that all clothes should be equal, and all of my undergarments should work with them. Buuuuuttt…since that’s not reality…and since I also get really bad blisters when I opt out of wearing socks with my cute shoes because I don’t have any that won’t show past the top…it’s time for me to invest in some good ones! I did buy some no-show socks a while ago, but they always seem to slip off and end up jammed up in my shoe. I’ve even been known to take them off out in public, so there’s that. And we need less of that. Okay…so, now for the good stuff. I got a ton of responses when I asked for the no-show socks that people use and love. I haven’t tried any of these for myself yet, but they all came highly recommended! PEDS—This brand was recommended more than any others, so this might be where I start! You can find them HERE. VANS (CANOODLE)—These come in several fun colors and patterns! You can find them HERE. PAIR OF THIEVES—This is actually a men’s brand, but they came recommended if you have a larger foot size. You can find them HERE. 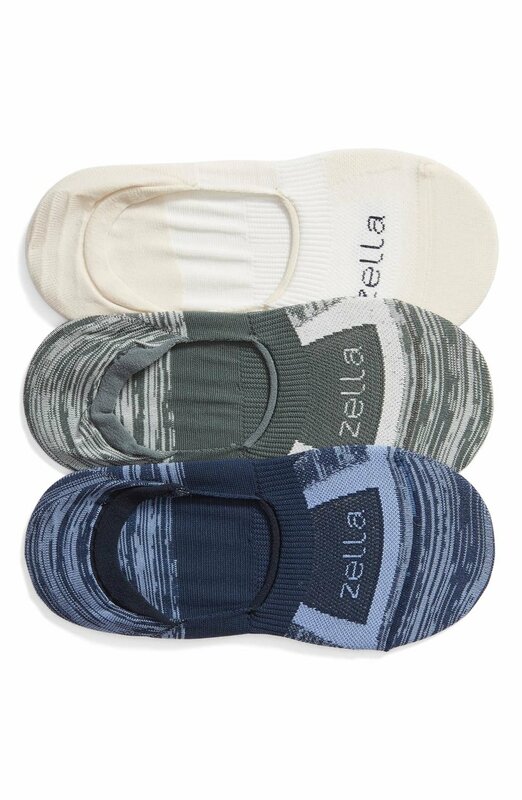 ZELLA—These have a ribbed arch support, which I always love in a sock. It makes them super comfortable and a bit more supportive. You can find them HERE. SAUCONY—The color + pattern options on these are enough to sell me alone! You can find them HERE. AVIA—I was just with a friend yesterday who was wearing these and she swears by them! You can find them HERE. GAP—The person who recommended this brand to me said she’s never found any she likes until she started wearing these! You can find them HERE. NIKE—Seems like you can’t go wrong with a brand that specializes in sports functionality! You can find them HERE. I can’t wait to try some of these no-show socks out! I have several pairs of shoes that I avoid wearing because I need to have a sock on with them, but don’t have the right ones. I’m hoping to find the perfect fix to my problem…and will be taking those shoes out for a spin very soon! I would love to get your feedback on the no-show socks that you try from the list! Or maybe, you have a different brand not featured here. Either way, I love hearing from you! Are there other items you’d like input on, shopping options, reviews? I want to make sure I’m gathering all the best and most helpful lifestyle info I can for you!